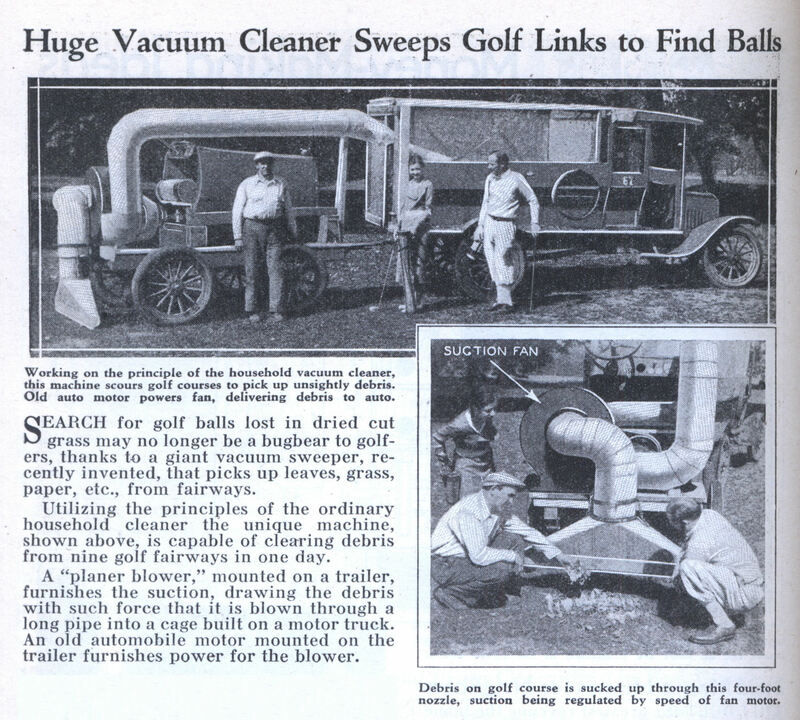 SEARCH for golf balls lost in dried cut grass may no longer be a bugbear to golfers, thanks to a giant vacuum sweeper, recently invented, that picks up leaves, grass, paper, etc., from fairways. Utilizing the principles of the ordinary household cleaner the unique machine, shown above, is capable of clearing debris from nine golf fairways in one day. A “planer blower,” mounted on a trailer, furnishes the suction, drawing the debris with such force that it is blown through a long pipe into a cage built on a motor truck. An old automobile motor mounted on the trailer furnishes power for the blower. I don’t think I need this to find my balls.